Mark Springer: In the collection’s titular essay, scholar and author Jess Nevins traces the concept of mechanical animals in Western culture, beginning with Homer’s Odyssey and carrying through to modern SF/F. The essay provides interesting context for the stories that follow, and it got me thinking of the mechanical animals theme as part of a broader trend that defines our species. Here’s what I mean: We use tools and technology to alter the world to suit our needs and wants, and we use stories to change our understanding of ourselves and the world we’re altering. These two modes of world-building are linked, but also independent. On the one hand, creative imagination often surpasses what is technologically possible (as in the case of Homer’s “mastiffs of gold and silver”). On the other hand, the accelerating pace of technological change can outstrip our ability to reckon the cumulative consequences of our actions, as was confirmed again just this week with the CRISPR’d Chinese twin girls. There is always tension between what we tell ourselves we want from our innovations and what we actually get. For example, the first humans to domesticate wolves couldn’t have imagined their utilitarian effort would yield more than 300 different dog breeds, but here we are. 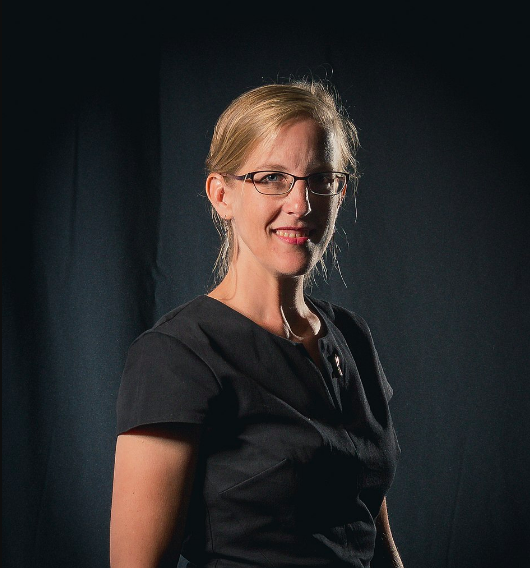 Lisa Mahoney: I’m glad you mentioned dogs. Given their popularity as pets, it’s no surprise that they’re popular as mechanical animals, too. Like real dogs, the mechanical versions can range from menacing to better-than-man’s-best-friend. The two dogs in the collection fall into the latter category. There’s Kazzie, the loyal and comforting artificial-therapy dog in Nick Mamatas’s “The Twin Dragons of Sentimentality and Didacticism,” and the disturbingly protective watchdog Benjo of Stephen Graham Jones’s “Every Single Wonderful Detail,” a story with a great twist. These stories reminded me of two mechanical dogs in television shows. 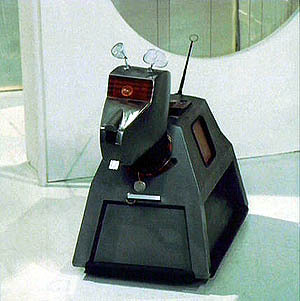 Like Kazzie and Benjo, Doctor Who’s K9 is the ultimate useful and loyal pet, and a walking databank to boot. But at the other end of the spectrum is a story that plays upon humanity’s ancient fear of being hunted by relentless hounds. The mechanical hunter-killer dog-like weapons of “Metalhead,” a recent dystopian Black Mirror episode, are as terrifying and impossible to kill as the Terminator. They are a combination of overwhelming detection senses, group communication, and a rabid determination to wipe out the last humans. MS: Kazzie and Benjo are definitely benevolent—or at least well-intentioned—creations, but it’s important to note that the common thread linking many stories in the collection is a Black Mirror-esque angst about the technological mastery on display. Like Jeff VanderMeer does in Borne and The Strange Bird, the authors here push back against the idea of human exceptionalism and the belief that we are somehow separate from the natural world—both apart from it and superior to it. If you see nature as subservient to human desire, something to be controlled and possessed and exploited, then it’s a short leap from domesticating wild animals to replacing them with mechanical replicas that can be “optimized” for utility. LM: Humanity put itself in the position of exterminator and creator in Caroline M. Yoachim’s “The Clockwork Penguin Dreamed of Stars,” and the consequences for the self-aware mechanical animals are horrific. They are trapped in an endless cycle of programmed animal behaviors designed to educate human zoo visitors, yet they don’t want to carry out these behaviors. The mechanical replicas are necessary because humans have killed off all the real animals on Earth. And if you’re thinking, “Earth without animals? The planet would be uninhabitable!”, well, exactly: it turns out that all the humans on Earth have died, too, leaving the exhibits to fend for themselves. MS: A reproduction is never a replacement for the real animal. In Hans Christian Andersen’s tale, “The Nightingale,” the mechanical nightingale, a marvelous, bejeweled music box, rightly pales in comparison to the flesh-and-blood nightingale that enchants an emperor and his entire kingdom. LM: It’s an interesting that the older stories tend to present their mechanical animals as a kind of compliment to the most awe-inspiring aspects of the natural ones—an acknowledgement that we can never replace nature, but also a nod to the worthiness of the artistic ambition to capture as much as possible the sublime beauty of the world around us. I’m thinking of the Hawthorne story again, “The Artist of the Beautiful,” which is as much about art as the ultimate human expression and fulfillment as it is a quest story, one in which the genius protagonist is beaten back time and time again by mundane critics, and is nearly dissuaded from achieving his goal of making a gorgeous and enchanting mechanical butterfly. It’s also a brilliant poke at critics and people who believe only useful items have value, people who question the purpose of art. MS: I really appreciated that story, and “The Nightingale.” The decision by editors Selena Chambers and Jason Heller to include these and the other 19th-century stories makes the anthology feel like a bridge between the past, present, and future of a theme that is sure to remain relevant for as long as humans are inspired to write about our fraught relationship with the rest of the natural world—which is to say, as long as our species survives. LM: The last story of the collection, “Closer to the Sky” by Carrie Vaughn, perfectly captures that atmosphere of past, present, and future. It’s about a half-mechanical horse named Copper, who lives in a positive and mutually beneficial relationship with Annie Mason, the precocious 14-year-old niece of an eccentric tinkerer and inventor brilliant enough to save a crippled cowpony by giving it mechanical legs. Vaughn sets the story in a steampunk-ish version of the 19th-century American West, and hers was the only half-mechanical animal I remember in the collection. Copper is a cyborg half a century before the term was invented—he has the body of a horse but “instead of flesh and blood for legs this singular cowpony had steel and pistons, rubber tendons, and brass flywheels, slicked with oil and faster than bees’ wings.” And yet, amazing as the technology is, it’s love that makes this story extraordinary. Copper is powered by his love for Annie, who in turn loves, tends and mends the horse. Beautifully and skillfully written, Vaughn’s story is a pitch-perfect, action-packed Western adventure that ends the collection on a high note.